Grew up with Maccabi Tel Aviv (Israel) juniors. Played college basketball at Wichita State (2006-08). 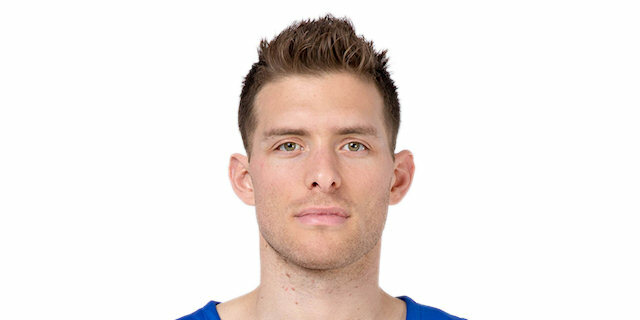 Moved back to Israel, signed for the 2008-09 season by Hapoel Galil Gilboa Elion. In December'09, signed by Hapoel Galil Gilboa Elion. Moved to Italy for the 2011-12 season, signed by Benetton Basket Treviso. Back to Israel for the 2012-13 season, signed by Maccabi Haifa. Signed for the 2013-14 season by Dallas Mavericks, during the season also played with Frisco Texas Legends, NBDL. In November'14, signed by Indiana Pacers. In December'14 signed by New Orleans Pelicans. In February'15 moved to Russia, signed by Nizhny Novgorod. In January'16 moved to Israel, signed by Maccabi Tel Aviv. Moved to Spain for the 2017-18 season, signed by CB Gran Canaria 2014. Moved to Russia for the 2018-19 season, signed by Zenit St. Petersburg. Won the 2009-10 Israeli National Championship with Hapoel Galil Gilboa Elion. Won the 2012-13 Israeli National Championship with Maccabi Haifa. Won the 2016 and 2017 Israeli National Cup with Maccabi Tel Aviv. Played the 2011, 2016 and 2017 Israeli All Star Game. Played at the 2009, 2011, 2015 and 2017 European Championships. Has been member of the Israeli U-16, U-18 and U-20 National Team. Member of the Israeli University National Team.